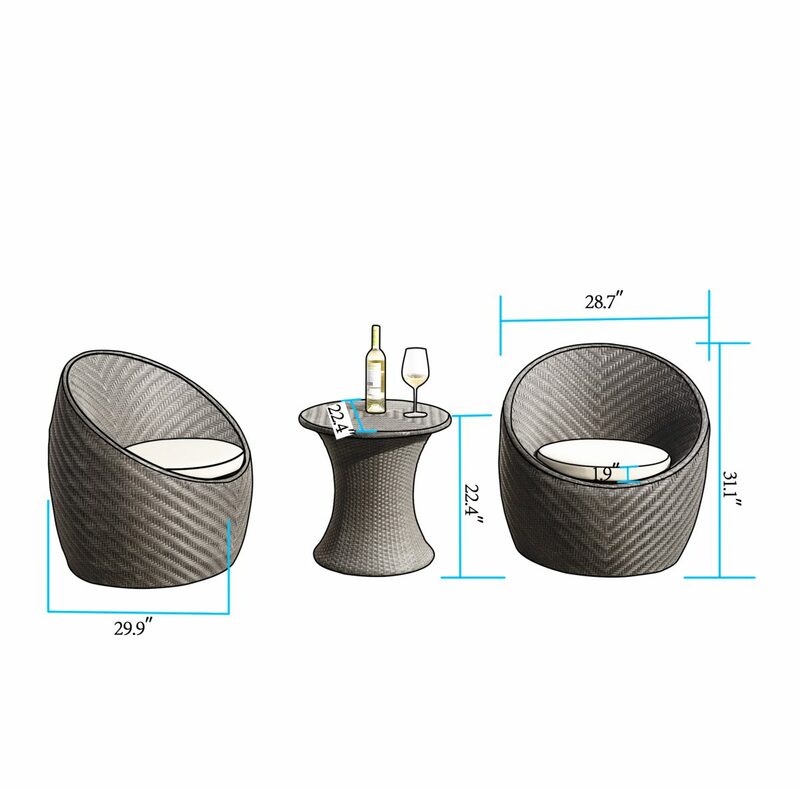 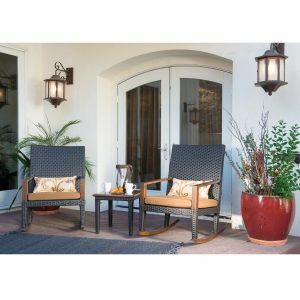 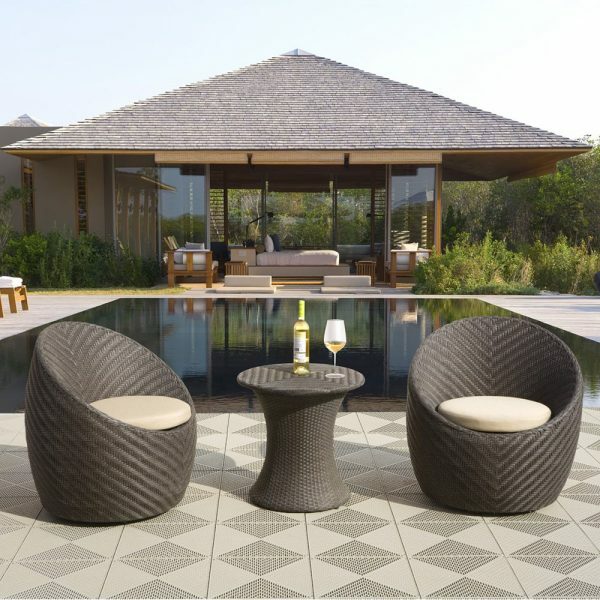 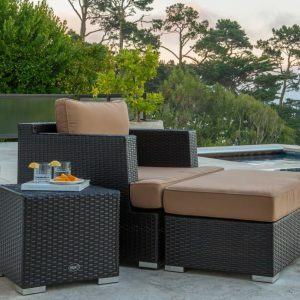 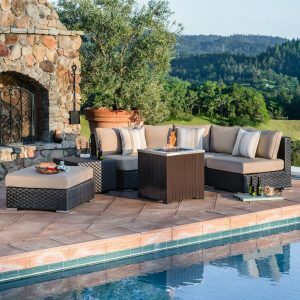 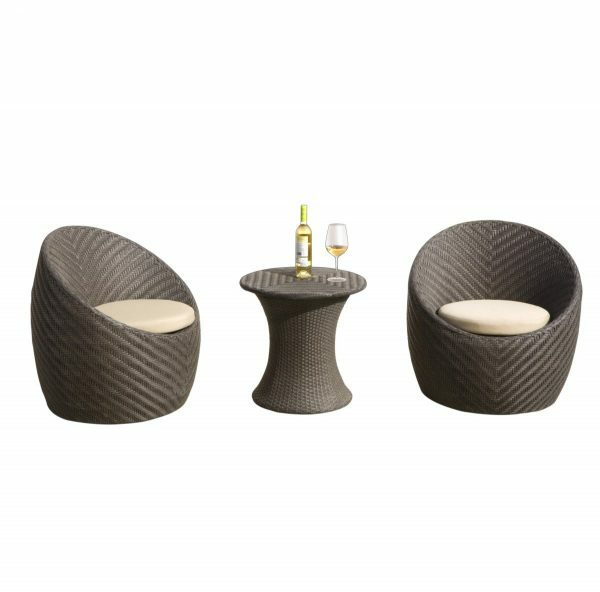 The perfect outdoor collection for those smaller spaces, the Valentine 3-piece table and chair set is constructed of heavy gauge aluminum and all weather resin wicker. 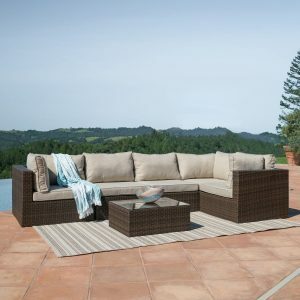 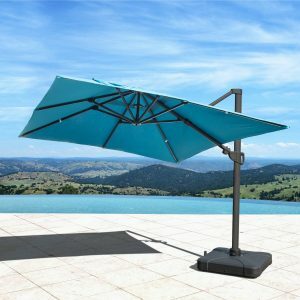 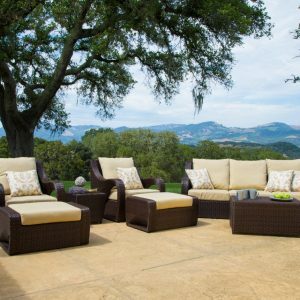 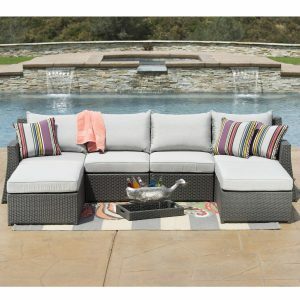 The seat cushions are filled with eco-friendly poly fiber and covered in Sunbrella® outdoor fabric. 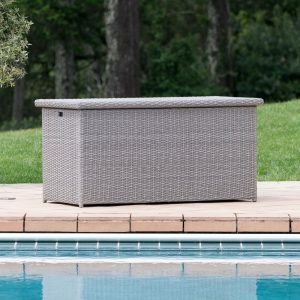 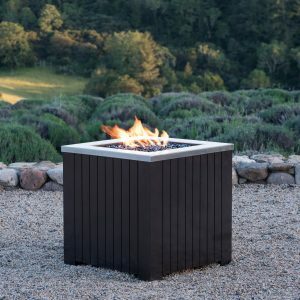 The contemporary design allows the individual piece to stack into one decorative piece for outdoor storage, enabling you to free up tight balcony or deck space without the need to store someplace else.